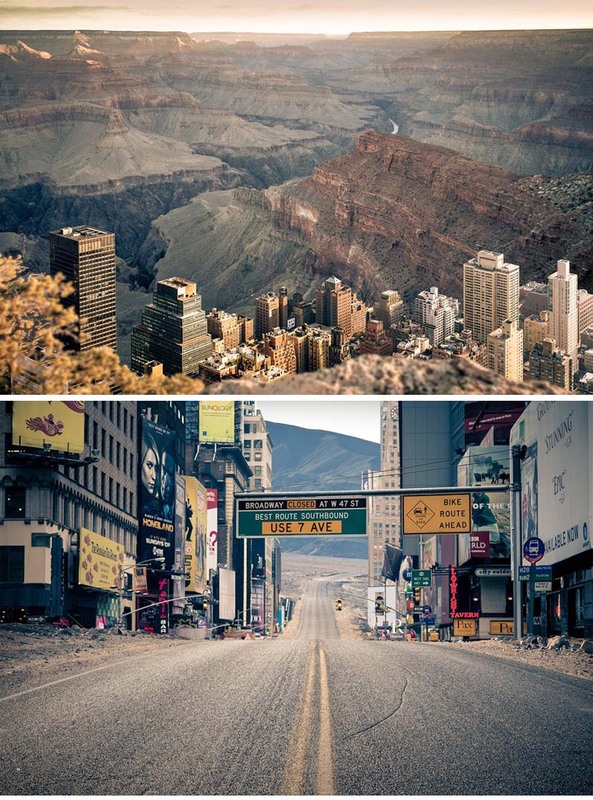 Swiss photographer Gus Petro was impressed by NYC’s density and popularity as well as by the extreme emptiness and uninhabitable space of the Grand Canyon and Death Valley on his travels to the U.S. 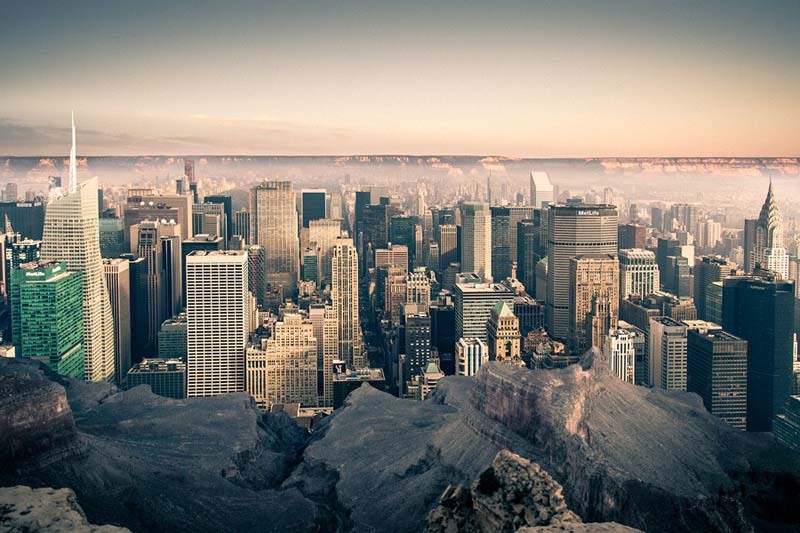 He took a series of photographs of New York titled Dense, another series titled Empty of the Grand Canyon, and then, to complete the trilogy, Petro merged the two in his aptly named series Merge. 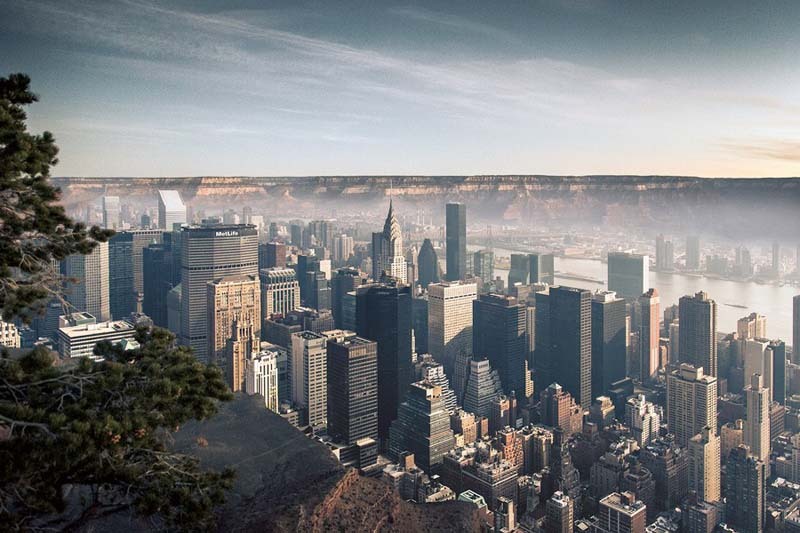 Exploring the polar opposites was interesting enough, but seeing what NYC would look like placed in the Grand Canyon is a surreal experience. This entry was posted in Art, NYC, Photography, Stuff We Like. Bookmark the permalink.